Massachusetts public health officials have set tough new conditions for the proposed merger of Beth Israel Deaconess Medical Center and Lahey Health that will require the parties to demonstrate they’re holding down costs while ensuring access to low-income patients, The Boston Globe reports. The conditions, laid out at a Wednesday meeting of the state’s Public Health Council, include yearly reporting of how the hospitals will apply savings from the merger to enhance care quality and access to services. If savings surpass the state’s 3.1% benchmark for controlling healthcare costs, the new system will have to put more money back into services and community hospitals and clinics. The conditions also require the system, within six months, to develop a plan to increase services to Medicaid patients and, within two years, ensure full participation by Beth Israel-Lahey physicians in the state Medicaid program. The conditions follow a Health Policy Commission report that warned the merger could result in a $128.4 million to $170.8 million increase in healthcare spending for inpatient, outpatient and adult primary care services and up to $59.7 million for specialty physician services. The commission concluded that while the merger could lead to improvements in quality and efficiencies, the companies hadn’t explained how that would happen. The new conditions call for a second report in five years to assess the merger’s impact on healthcare costs and services in the state. As mergers and acquisitions continue in healthcare, potential problems could lead to more stringent conditions. Research has shown, for example, that horizontal mergers can drive up costs. Once completed, Beth Israel-Lahey Health would rival Partners HealthCare System in terms of market share in Massachusetts. The new company could use its increased bargaining power to raise prices for commercial payers, increasing healthcare spending. A recent National Bureau of Economic Research analysis also played down the extent to which hospital mergers increase efficiencies. According to NBER, acquired hospitals save just 1.5% of total costs following a merger — or an average of $176,000 a year. And a recent University of California-Berkeley study of health system consolidation in the state found that highly concentrated markets led to higher hospital and physician service fees, as well as higher Affordable Care Act premiums, especially in northern California. 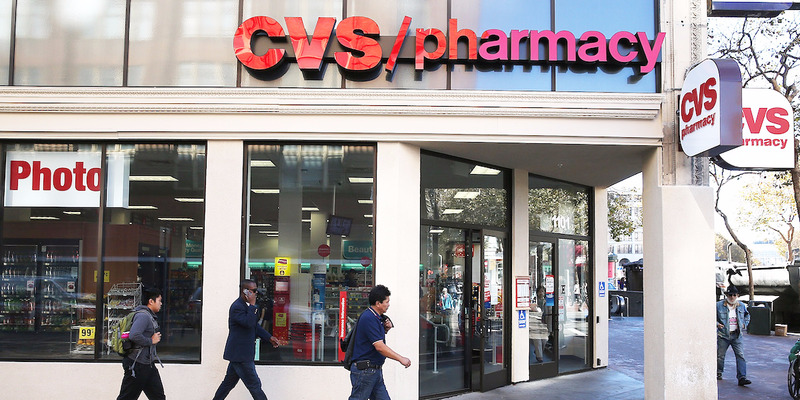 CVS has reportedly put in an offer to buy Aetna. CVS Health has proposed buying Aetna for $200 per share, the Wall Street Journal reports. That would value the transaction at more than $66 billion. Why it matters: This would be a gigantic buyout offer, one of the biggest of the year, if it goes through. CVS and Aetna, which already have a pharmacy contract together, would create a behemoth health care company with roughly $240 billion in annual revenue and substantial bargaining power over hospitals, drug makers and employers. The deal also would displace UnitedHealth Group as the largest health insurer and pharmacy benefits manager.